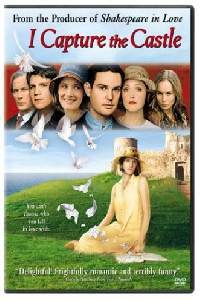 When I read I Capture the Castle by Dodie Smith a few years ago I thought it was a lovely story of romance and personal growth, and I think this film absolutely did it justice. I will confess that I don’t remember how every single plot detail played out in the book versus the movie, but to be honest, that comparison wasn’t important to me. For me, one of the most magical things about this film is the setting. I thought that the castle and its surroundings fit the feel of the novel really well. There were some things which I loved having visualized, like the scene where Rose touches the gargoyle in the kitchen, or Stephen’s life in London. I also really enjoyed watching the party scenes and the costumes (which I thought were lovely). I also loved how they brought the chemistry between Cassandra and Stephen to life. I already thought it was potent in the book, but for me it felt perfect in the film. To be honest, I really thought all of the acting was excellent. Perhaps one of my favorite things about this movie was the fact that the ending stayed loyal to that of the book. And I thought that the actress was really wonderful and preserved the emotional tone of the scene. I think this is overall a fantastic adaptation, and that if you loved I Capture the Castle or just enjoy beautiful scenery that you’ll enjoy it. This is on Netflix Instant! Hello Friday night plans!